Last year, local favourites Demon Days shared their impressive EP Magic Eye — and this week they are back again with a brand new single entitled 'Hands-Free'. 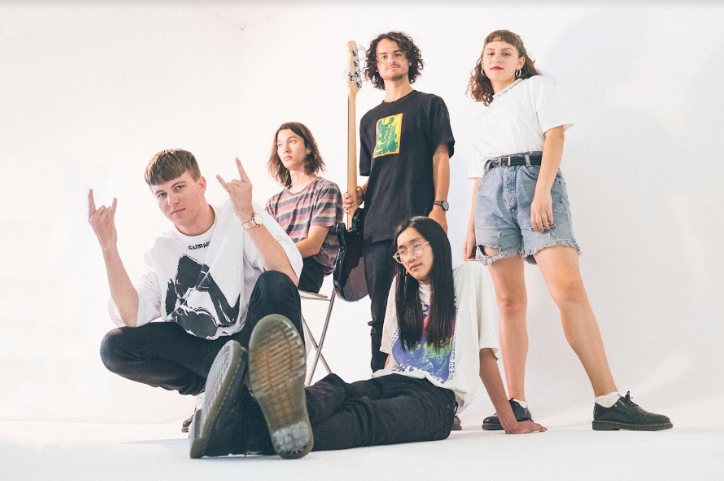 The group have gone from strength-to-strength after a huge BIGSOUND in 2018, and already have amazing things coming this year with an upcoming tour scheduled for this month and an appearance at the highly coveted Canadian Music Week festival soon. Bella Nicholls took some time out to share the story of Demon Day's newest single 'Hands-Free'. I wrote 'Hands-Free’... On a hot summer afternoon. We did it in two parts. Part no.1 was instrumentation which we meticulously smashed out in our Drummers family home. It initially started as a sick line that Josh our keyboardist wrote and we just worked the piece around that making it the motif. Part no.2 was the lyrics and although they were written over a year ago, recycled from a dead piece of our work; we revamped the melody to suit the tune. The story behind ‘Hands-Free' is... It's really about equality. When looking at certain issues in life we tend to amalgamate a certain picture of what that person may look like and make hasty assumptions. Specifically, I'm focusing on the issue of sexual assault and the many ways in which it occurs. For example, women assaulting men or this strange culture of self-identified heterosexual men sexually assaulting other hetero men during or around activities like sports. When we talk about feminism, we talk about equality of all men and women which of course includes trans folk, and non-binary and other gender non-conforming folk out there. I think everyone's story deserves to be heard and taken in with compassion. My favourite lyric is... "Hazy night of sax filled solos and there you were alone/ Andy, you didn’t know" It's in reference to an incident that happened during a jazz band was playing. My main inspiration was... Nubiyan Twist! We wanted a horn section for this track and who best but Nubiyan Twist to look too. It sounds best... Played live with a roaring room of people dancing.